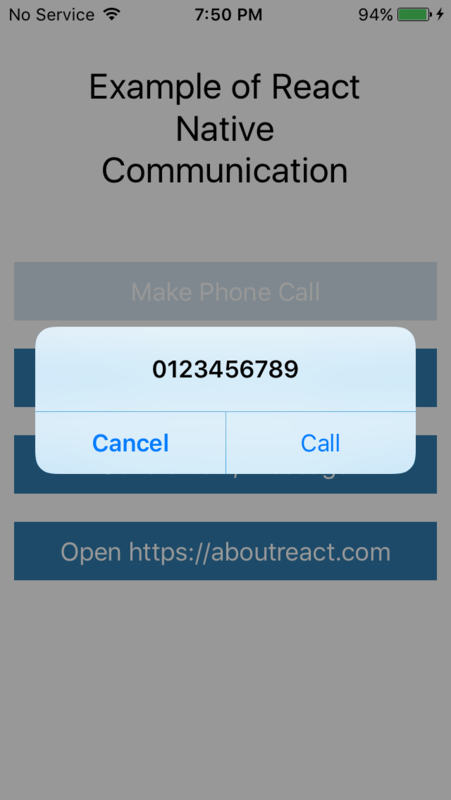 This is an Example to Make Phone Call, Send SMS or Email Using React Native Communication. 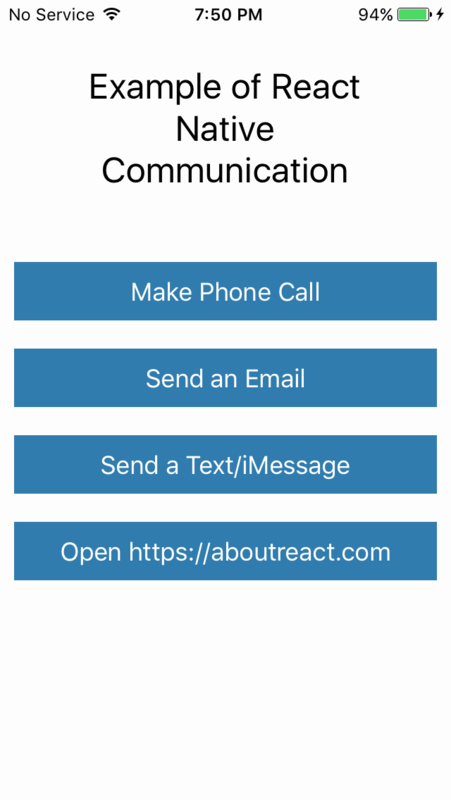 We will use the Communications Component provided by react-native-communications. This is a very easy to integrate library which can be used for very useful task like Making phone calls, Sending Text SMS or for Sending Emails. Most important point to note here is that all the things will trigger the respective applications to handle the task like when we call a function to make a phone call it will open Dialer application with prefilled number supplied by us from our App. 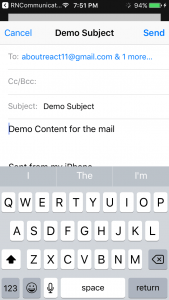 Similar with the SMS and mail. Open a web URL in browser. Now let’s get started with the example. 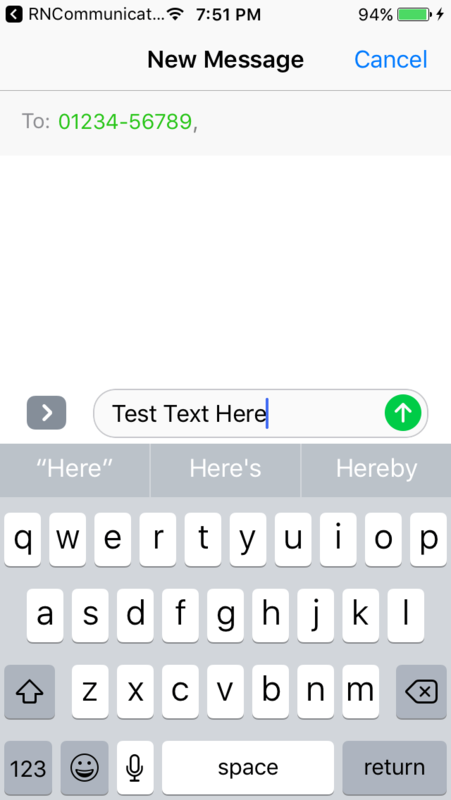 For this example, we will make a home screen with 4 different buttons to make a call, to Send SMS, to Send Email and to open a URL in browsers. 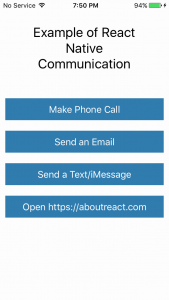 To use Communication we need to install react-native-communications dependency. –save is optional, it is just to update the react-native-communications dependency in your package.json file. 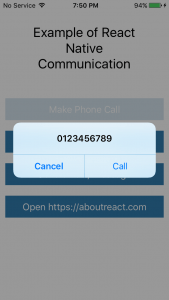 This is how you can Make Phone Call, Send SMS or Email Using React Native Communication. If you have any doubt or you want to share something about the topic you can comment below or contact us here. There will be more posts coming soon. Stay tuned! 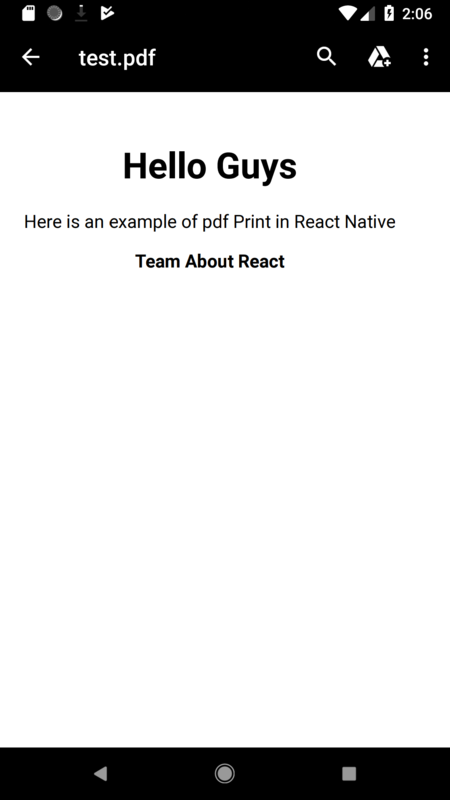 Here is an Example to Take Screenshot Programmatically in React Native. 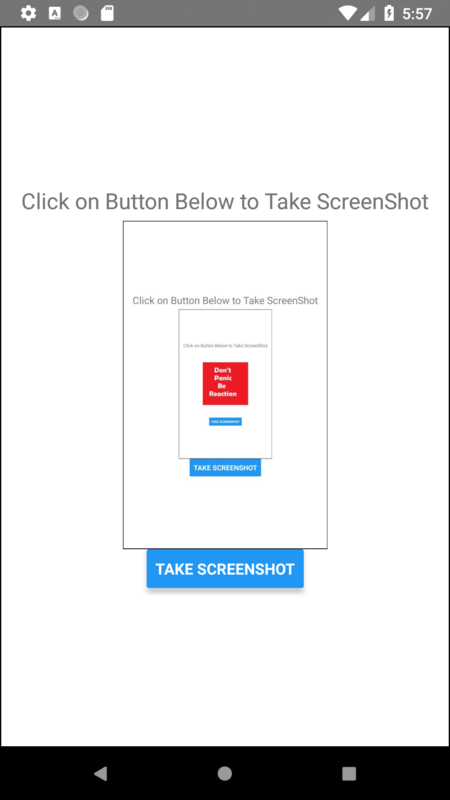 To take Screenshot of your screen we have an inbuilt Screenshot option provided by mobile manufacturers but you can also make this in your own Application too. 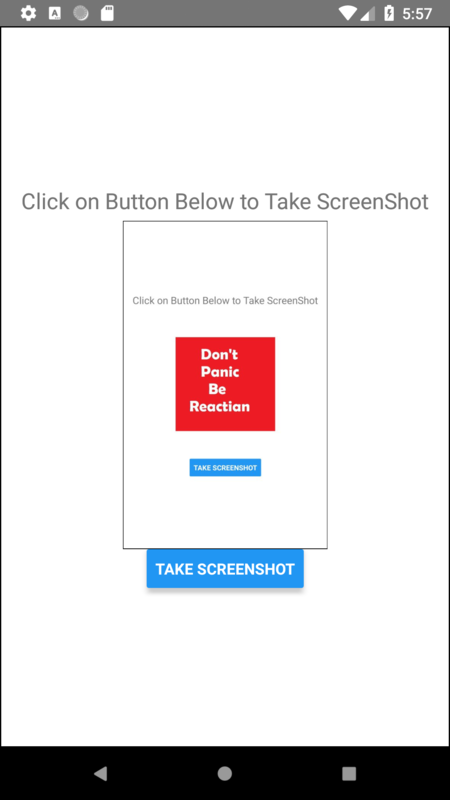 To take a Screenshot we will use a very good library called react-native-view-shot. Which provides captureScreen API which is very easy to use. 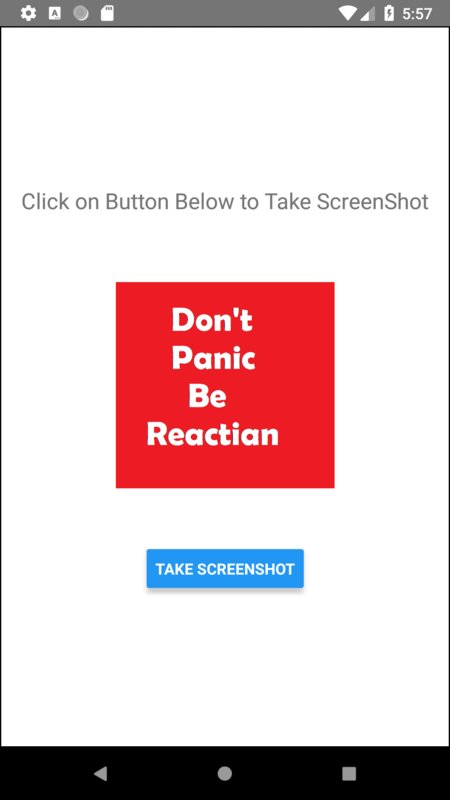 To use captureScreen we need to install react-native-view-shot package. This command will copy all the dependencies into your node_module directory, You can find the directory in node_module the directory named react-native-view-shot. –save is optional, it is just to update the react-native-view-shot dependancy in your package.json file. Here we have done with our installation of the dependency. If you are still facing the trouble please comment below so that we can help you out from the problem. This is how you can take screenshot programmatically. If you have any doubt or you want to share something about the topic you can comment below or contact us here. There will be more posts coming soon. Stay tuned! 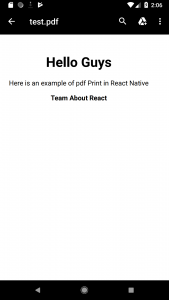 Here is an Example to Make PDF in React Native from HTML Text. 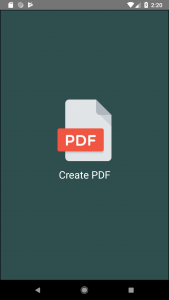 In this example, we will create a PDF file from the HTML text after the click of a button in our App. 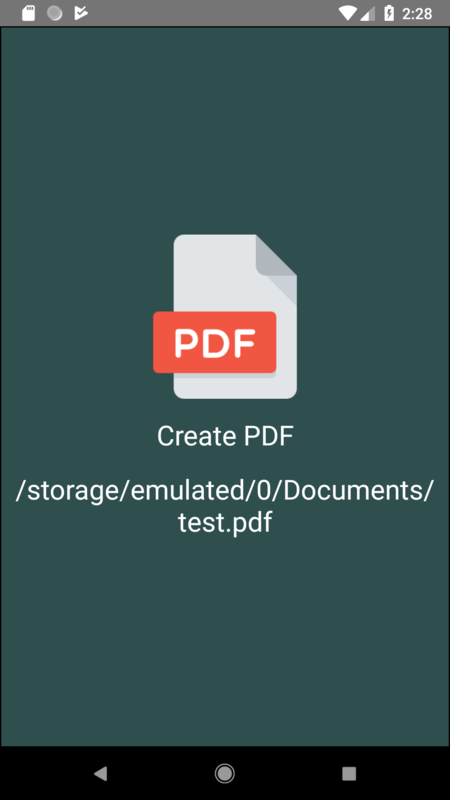 To complete this task we will use react-native-html-to-pdf library. So let’s get started. This command will copy all the dependencies into your node_module directory, You can find the directory in node_module the directory named react-native-html-to-pdf. Go to the HtmltoPDFExample> android > app > build.gradle. Open HtmltoPDFExample> android > settings.gradle and you can see the following lines and if not please add this. 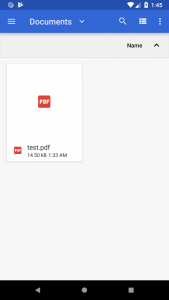 We are accessing external storage so we need to add some permission in AndroidManifest.xml file. 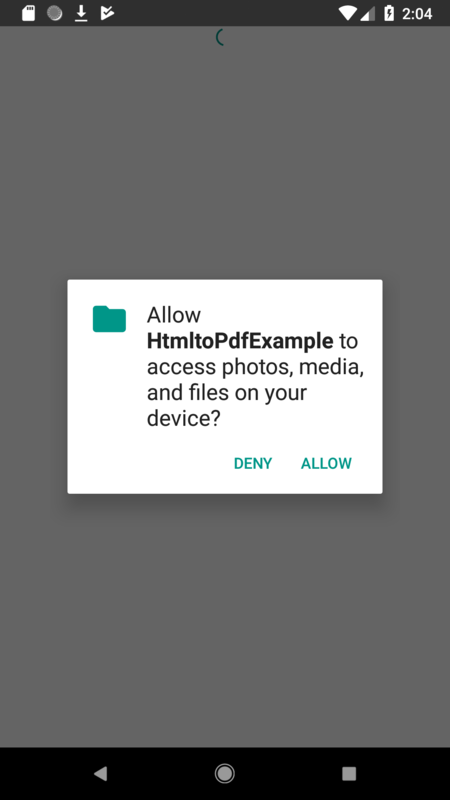 On devices before SDK version 23, the permissions are automatically granted if they appear in the manifest but after SDK version 23 android applies new permissions model. For more about the permission, you can see this post. 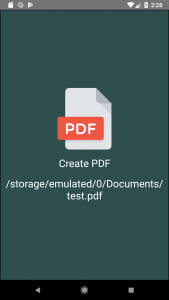 WRITE_EXTERNAL_STORAGE: To store the PDF in SD card. READ_EXTERNAL_STORAGE: To read the SD card. By adding permission in AndroidManifest.xml you are able to work with the EXTERNAL_STORAGE in devices which are lower than API 23. 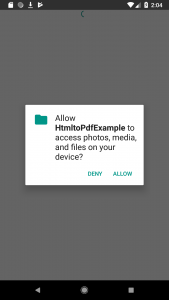 But if you want to access the EXTERNAL_STORAGE in higher level devices you also need to ask for the runtime permission. For this example Please do check your compileSdkVersion and targetSdkVersion is above or equal 23. Go to the HtmltoPdfExample> android > app > build.gradle. For the example, I am using the following configuration. 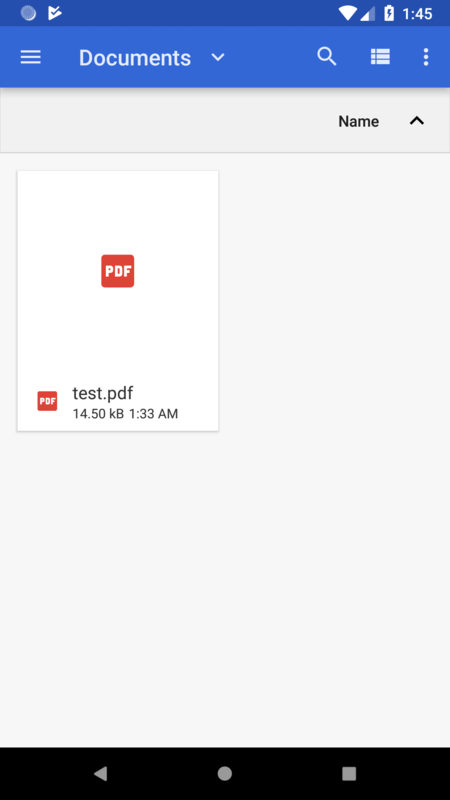 Here are the Screenshots of the application. Asking for permission while opening the app for the first time. This is how you can make PDF from your React Native Application. If you have any doubt or you want to share something about the topic you can comment below or contact us here. There will be more posts coming soon. Stay tuned! 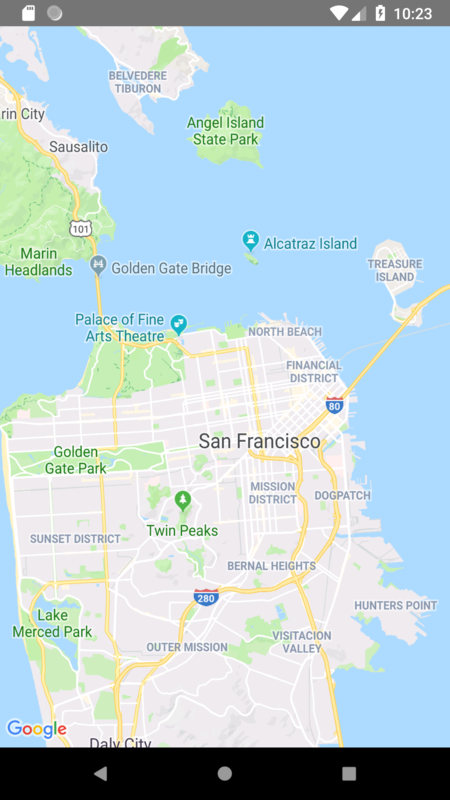 React Native Map Example is to integrate the Google Map into your React Native Application. To integrate the Map in our example we will use a very good library called react-native-maps. 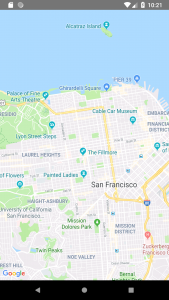 Which provides MapView component which is very easy to use. So let’s get started. This command will copy all the dependencies into your node_module directory, You can find the directory in node_module the directory named react-native-maps. –save is optional, it is just to update the react-native-maps dependancy in your package.json file. Go to the MapExample> android > app > build.gradle. Open MapExample> android > settings.gradle and you can see the following lines and if not please add this. To use Map in your Application we have to get Map API key from the Google Developer console. For that, open Developer console and log in from your Google account. Before we add this API key in our project you have to enable the API which you want to use in your project. 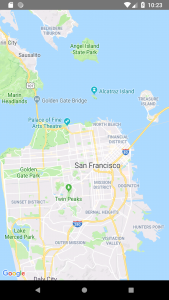 For that, you can search for the Map and you will find the Map related API. We will enable Map SDK for Android because we are making this example for the Android. So click on Map SDK for Android and you will found the enable button to enable the Map API for Android. Now after enabling the API key, we have to add this API key to our project’s AndroidManifest.xml file. Just copy the following lines and paste it into your manifest file with your generated API key. 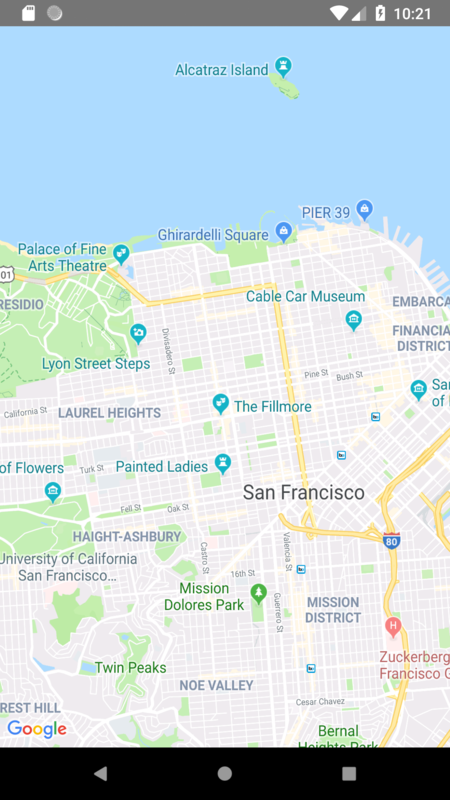 This is how you can integrate Google Map in your React Native Application. If you have any doubt or you want to share something about the topic you can comment below or contact us here. There will be more posts coming soon. Stay tuned! If we have to share any small data between different users, we can use the QR Code. Generation of QR Code in React Native is very easy as we just have to install react-native-qrcode package, which will provide <QRCode/> component to make QRCode. QR Code is known as Quick Response Code is a trademark for two-dimensional barcode. QR Code is a machine/camera readable block enabled code for encoding numeric value and alphabetic value. The QR Code stores information within a block of images and can store multiple types of information. This command will copy all the dependencies into your node_module directory, You can find the directory in node_module the directory named react-native-qrcode. 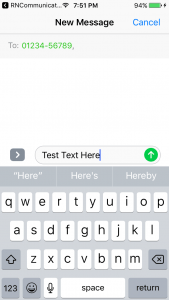 placeholder="Enter text to Generate QR Code"
That was the React Native Generate QR Code. If you have any doubt or you want to share something about the topic you can comment below or contact us here. There will be more posts coming soon. Stay tuned! This is an Example of React Native Scan QR Code. 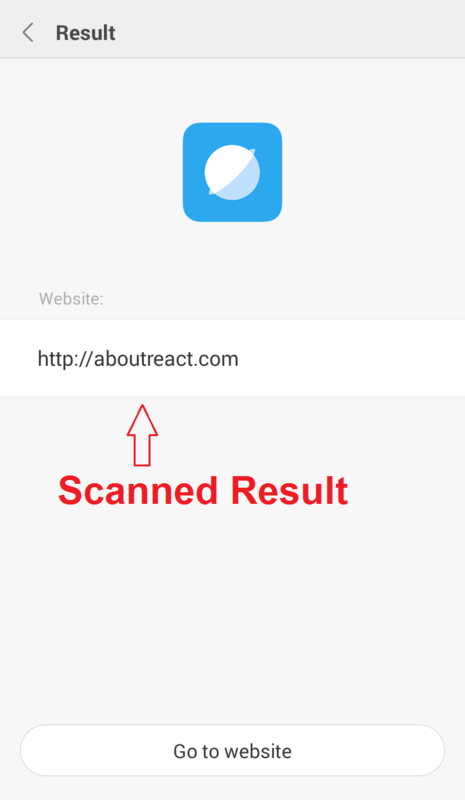 To make a QR Code Scanner in our React Native, Wix has provided a very good library named react-native-camera-kit. Which is very easy to integrate into your app. If you are making an app which needs to share small code/data/URL between users in physical presence then the QR Code is the cool thing to integrate into your App. For this process, we have to implement a QR Code Scanner and QR Code Generators in our app. 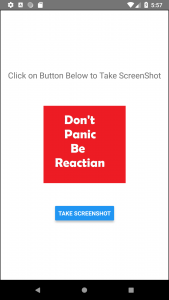 In this example, you will make the QR Code Scanner Using React Native Camera. 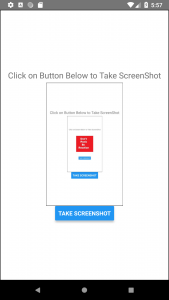 In this example, we will make a home screen with a button to open A QR code scanner. On click of a button, we will open a Camera with QR Scan functionality and after scanning of the QR code, we will take the code back to the home screen. 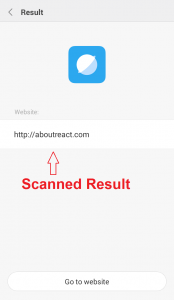 If the Scanned string is a link/URL then we will show an additional button to open the URL in default browser using React Native Linking Component. So let’s get started. This command will copy all the dependencies into your node_module directory, You can find the directory in node_module the directory named react-native-camera-kit. –save is optional, it is just to update the react-native-camera-kit dependency in your package.json file. 1. Open the project CameraExample>ios>CameraExample.xcodeproj in XCode. Click on Project (CameraExample in my case) from the left sidebar and you will see multiple options in the workspace. 3. Click on the plus button to add a permission key “Privacy-Camera Usage Description” and a value which will be visible when permission dialog pops up. //import CameraKitCameraScreen we are going to use. We have used this website to generate the QR Code. That was the React Native Scan QR Code. If you have any doubt or you want to share something about the topic you can comment below or contact us here. There will be more posts coming soon. Stay tuned! We all usually need a camera in our app and Wix has provided a very good library named react-native-camera-kit. Which is very easy to integrate into your app. 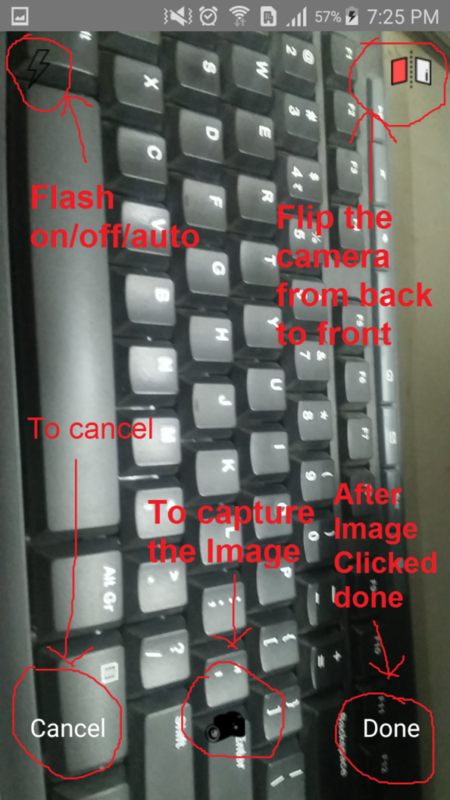 In this example, we will make a home screen to open Camera and In camera, we will have a capture button, a front to back camera switch button, a flash setting button, and a cancel button to close the camera. So let’s get started. We are using a Native API Camera so we need to add some permission to the AndroidManifest.xml file. //import all the basic components we are going to use. That was the React Native Camera. If you have any doubt or you want to share something about the topic you can comment below or contact us here. There will be more posts coming soon. Stay tuned! 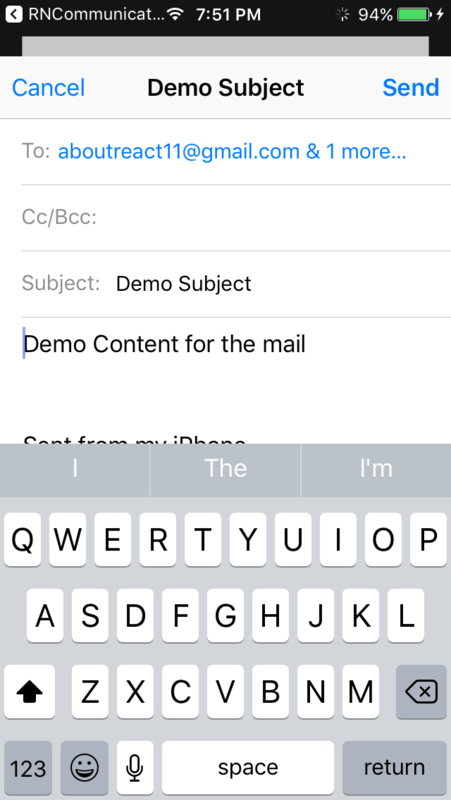 React Native DataSource provides efficient data processing and access to the ListView component. A ListViewDataSource is created with functions for extracting data from the input blob, and comparing elements (with default implementations for convenience). The input blob can be as simple as an array of strings, or an object with rows nested inside section objects. 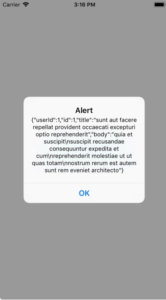 In the example below, we are using free demo APIs. The example has a simple ListView made with LIstViewDataSource. So let’s get started. That was the React Native ListViewDataSource. If you have any doubt or you want to share something about the topic you can comment below or contact us here. There will be more posts coming soon. Stay tuned! 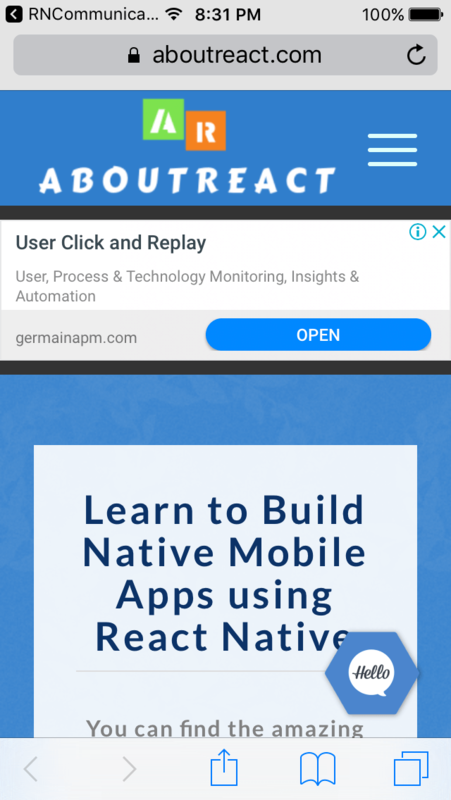 This post will give you an idea about how to Make HTTP Request to Fetch the Data From Web APIs in React Native. Here is an interesting example of posting and fetching the data from the server. 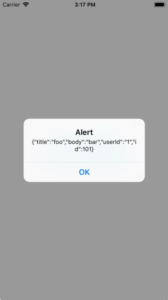 Whenever you connect your application from the backend server (to get or post the data) you have to make an HTTP request. 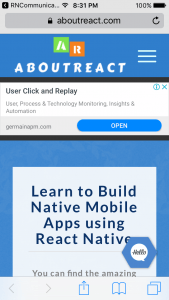 Here we will show you how to perform network task in React Native. In the example below, we are using free demo APIs. The example has two button each has its own onPress which triggers our services. Just for the demo purpose, we are using buttons to trigger the request but If You need any data which needs to render while loading your screen you can use componentDidMount lifecycle method to load the data from the server as soon as the component is mounted. So let’s get started. 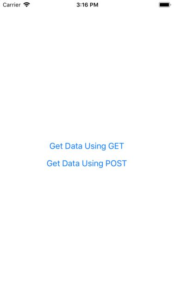 This is how you can Make HTTP Request to Fetch the data from Web APIs in React Native. If you have any doubt or you want to share something about the topic you can comment below or contact us here. There will be more posts coming soon. Stay tuned!